Configurations with a Vega 20 are managing Geekbench OpenCL scores between 72,799 and 80,002. The best performance is naturally reserved for Pros with Core i9 processors, starting at 75,817. OpenCL is an industry-standard framework for running apps across multiple processor types. 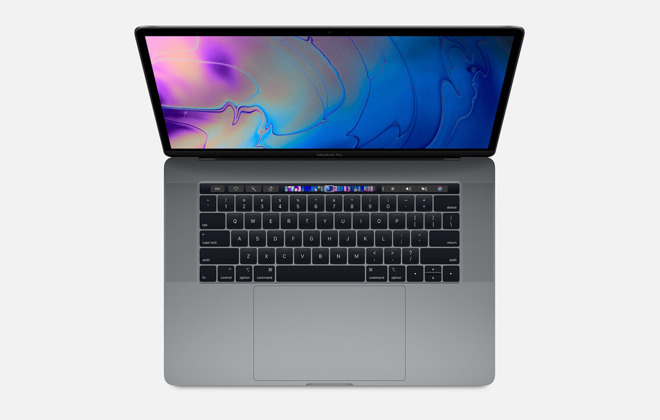 Apple is deprecating OpenCL in favor of its Metal 2 standard, but a 2.9-gigahertz Core i9-equipped Pro nevertheless has a Metal score of 73,953. The new figures are strong against Pros with Radeon Pro 560X cards, which typically have Metal numbers around 57,000 and OpenCL scores close to 65,000. The benchmarks were first spotted by MacRumors. Data has yet to appear for Vega 16 cards, which add $250 to a Pro's cost. The Vega 20 option is $350. 15-inch MacBook Pros are already expensive, starting at $2,799. Without increasing storage, maximizing performance — including a Vega 20, a Core i9, and 32 gigabytes of RAM — costs $3,849.